If you are joining me today from my devotion at Proverbs 31 Ministries, For Broken Hearts and Pain-filled Wounds, welcome! If you haven’t had a chance yet, would you pop over to read it by clicking here? 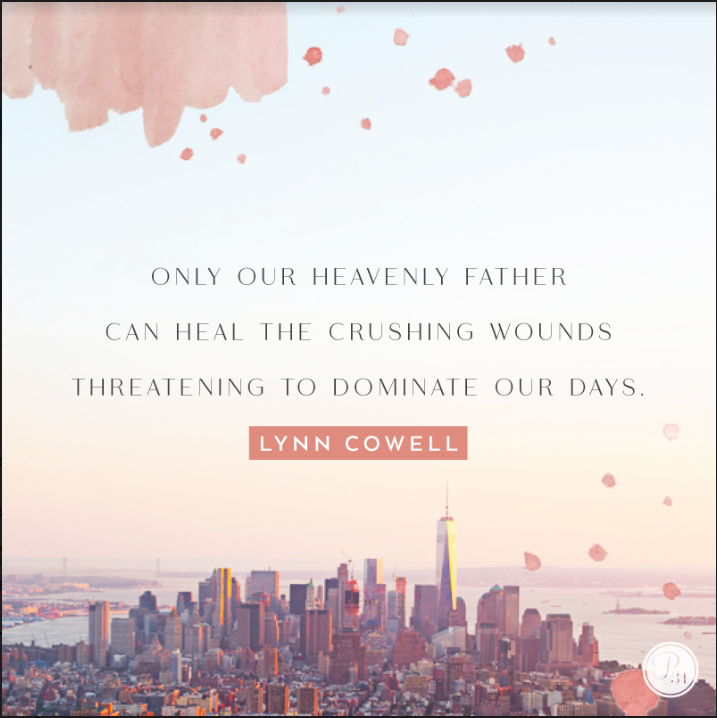 In today’s devotion, I spoke of the season of healing my friend Lori has been going through after losing her brother in the 9/11 terror attacks in New York City. She has found a beautiful place of rest in spite of all she has lost. This place of peace, trust and confidence in God is something I have desperately needed from God over the past couple of years. I am guessing you need to rest there too since you’ve stopped by today. One thing that has really helped me to do what 1 John 2:28 calls “continuing” or abiding in Him is surrounding myself with His truth. Click here to enter your email address and you will receive an email with the PDF to download and print. I hope you will print out this beautiful print, keeping them in a place where you can frequently be reminded of this powerful truth! 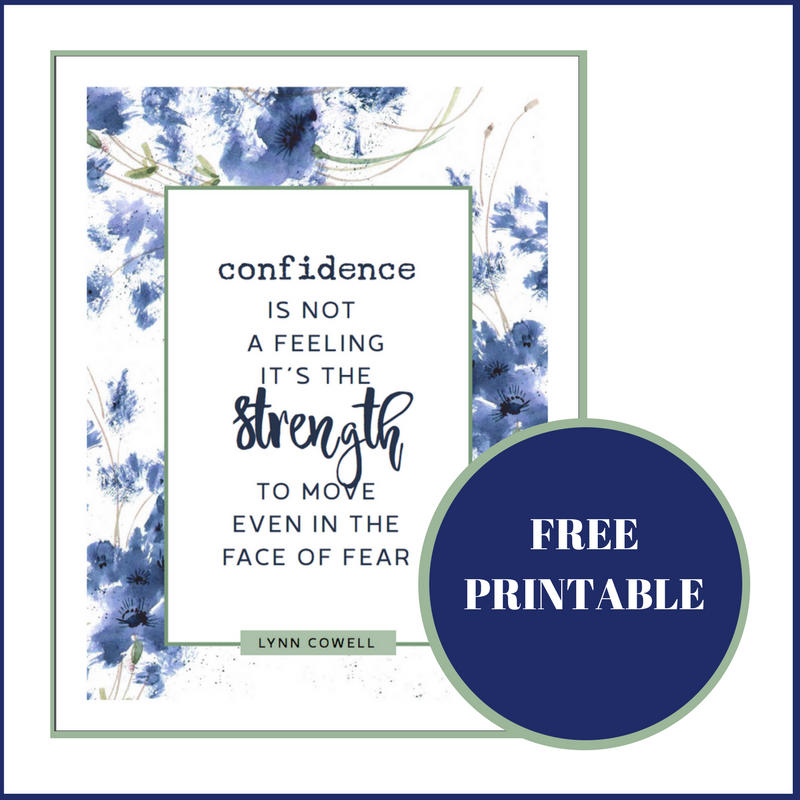 Today, I am also giving away a copy of Make Your Move: Finding Unshakable Confidence Despite Your Fears and Failures on Instagram! Click here to hop over to enter! My family lost our Mother and younger brother in 2016,within 6 months of each other. Bad enough to lose Mom,but Dear God it hurt to lose him too. Getting better each day and reading these messages every day helps. Thank You and God Bless. I know God continues to heal a piece of your heart each day, Betty. Keep drawing close to Him, just as you are! On this very memorable day – 9-11- your devotional was so helpful. My (9-11) came on Nov. 25, 2012 when I came out of work to emergency calls on my cell phone. Our dear 48 year old daughter came home from work and died. Her special needs daughter found her as she came off of her work bus (24 years old). Her son lived out of town. Her ex-husband lived in the same town ,however. It is amazing how, when in desperate situations, GOD arranges and carries out the things that YOU ARE UNABLE TO DO OR EVEN UNDERSTAND in the pain of the moment. The father and step-mother immediately stepped up to the plate and, as Christians also, and with God’s guidance, took over with our granddaughter. Our daughter knew Christ as her Savior. So, HIS will not my will, had been done. REASONS, QUESTIONS?, yes. But, our GOD never fails and is in control and only has our BEST in mind for each of us, even through pain. Our granddaughter knows Christ and is in a group home saying frequently, ” I miss my mom.” We have wonderful times rejoicing, however, that we will ALL BE WITH JESUS, together again someday. Thank you GOD for your perfect plans for our lives and your gentle care for each of us, through pain. YOU ARE TRULY AWESOME. Thank you so very much for sharing your story, Marilyn. I don’t know the pain of losing a child; honestly, I cannot imagine. I hear your faith and hope in your comment. Thank you for pouring that into us! Thank you for these words of encouragement. We all need this reminder of God’s word at times. I do … all day, every day! I lost my son to suicide a month ago. We buried him last week. My heart is grieving. I am broken. At the moment I have friends surrounding me in prayer. I truly believe that is what is keeping me going. I have friends who truly care and make contact daily. My tomorrow is changed forever. Dear Marilyn, as a mother, I cannot imagine the pain and sorrow you are experiencing. We love our children so much. I am so very, very grateful to know that you have friends surrounding you. That is why God made us to be in relationship with each other – to hold us up when we cannot stand alone. Thank you for sharing. THANK YOU FOR THIS FREE OFFER. I NEED TO BE COMFORTED AS MY FAMILY IS FALLING APART, IN SEPARATION & DIVORCE. ALSO I AM RECOUNTING THE DEATH OF MY SON; WHICH HAPPENED 4 YEARS AGO. I HAVE ALL MY FAITH IN OUR LORD & COMFORTER & I FEEL I NEED ADDED FAITH. GOD BLESS YOU FOREVER…. He is with you, my friend!